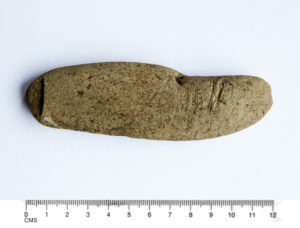 During recent excavations at Camas Daraich, Skye an incised bevelled pebble was discovered at the base of a midden layer dating to the Mesolithic . 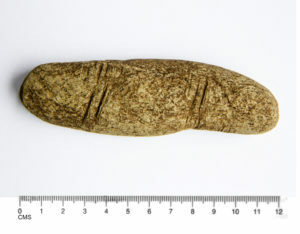 Finds of incised or decorated stone and bone from this period are rare in Britain as a whole and this is the first of its kind from Scotland. Tagged with Bevelled pebble, Incised decoration, Mesolithic.